Peter J Thomas has been a member of the Milwaukee Symphony Orchestra since 2008 and has performed around the world as a multi-genre soloist, clinician, educator, and chamber musician with the award winning classical cross-over indie- rock band, I’m Not A Pilot. 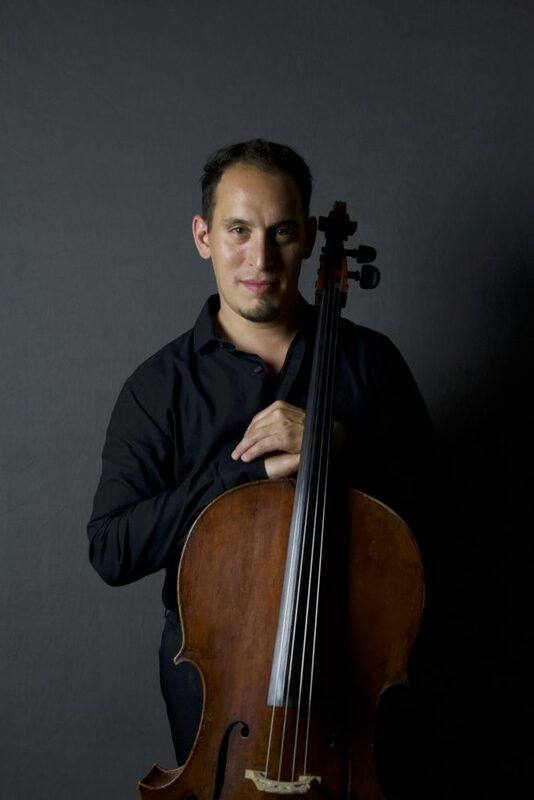 Originally from Stevens Point, Wisconsin, where he was born into a family of musicians, Mr. Thomas started cello at age five at the American Suzuki Talent Education Center and received degrees at the University of Minnesota-Twin Cities and the Cleveland Institute of Music. His primary teachers were Lawrence Leviton, Tanya Remenikova, Joseph Johnson, and Stephen Geber. Peter has presented clinics and workshops across the country through his innovative use of the electric cello and has recorded, arranged, and edited music for numerous artists including 2Cellos and The Piano Guys through Hal Leonard Music. He was the winner of the Wisconsin Area Music Industry’s String Player of the Year award in 2012 and 2015 and has been nominated for the award five times. As a songwriter, Peter’s original song Only in Dreams featuring vocalist Amanda Huff was recognized by the Milwaukee Journal Sentinel as the #3 song of 2018. Peter is a classical music ambassador in the community and for the Milwaukee Symphony Orchestra. He is the organizer and cellist of the 414 Quartet, a new classical music series that focuses on presenting chamber music to a diverse multi-racial audience. Prior to joining the MSO, Mr. Thomas performed with the Dayton Philharmonic Orchestra, Columbus Symphony Orchestra, and the New World Symphony. Peter appeared as a soloist with the New World Symphony on two separate occasions, where he performed Richard Strauss’s ‘Don Quixote’ and Elgar’s Cello Concerto as the 2008 Concerto Competition winner. As a teacher, Mr. Thomas maintains a private cello studio of gifted musicians and has served on the faculty of the American Suzuki Institute each summer since 2013. He is the recipient of Civic Music Milwaukee’s 2018 Educator Award for Certificate of Excellence in Studio Music. His students have won competitions and full tuition scholarships in music programs across the country. Peter has taught masterclasses at the UW-Stevens Point (WI), Lawrence University (WI), Eastern Michigan University (MI), Washington College (MD), and at numerous high schools across the state of Wisconsin. He has performed extensively as a soloist/educator in high schools music programs with I’m Not A Pilot and also with the Kabat-Thomas Cello Duo. Peter enjoys the life of being a multi-genre performer/teacher and strives to spread awareness of the arts in the community through his many outlets. Peter performs on a fine English cello circa 1813 by maker Thomas Kennedy.